A thoughtful, multidisciplinary approach to care planning actively including the child and family is critically important in a climate where children are surviving for longer, potentially in a more vulnerable state of health and with greater dependence on technology. Ideally, producing an advance care plan (ACP) should be a multiprofessional process, including the professionals most involved in the treatment and care of the patient, and developed collaboratively in active partnership with the child and family. It typically covers the concerns and wishes of children and young people about their care, including what should be done, where, how, when and by whom. Importantly, while ACPs also consider what should not be done, it is vitally important that healthcare professionals do not mistakenly believe that an ACP is an automatic statement of intent not to treat. Thematic analysis of the evidence for advance care planning (NICE, 2016). CYP, children and/or young people. Having the ACP has empowered me as a parent to take control over decisions for my child. I am confident that she will not spend her last moments with men in green jumping on her chest, and if that means her life is potentially a little shorter as a result, I will take that trade. The ACP is not about withholding necessary treatment, but instead about ensuring that when my child dies, she will do so with as much dignity as possible. Imogen eventually died peacefully at Helen House, her chosen care setting, where she had been a regular visitor for almost a decade. Jack (see figure 3) had Tay-Sachs disease; he died at the age of 7 years during a respite visit to Helen House. His mother, Katherine, reflects on what it meant to have an ACP at the timeof his death. Jack’s ACP ensured the quality of his death and allowed us to concentrate on ensuring the quality of his life. We were not there when he died but when we arrived it was to find all aspects of the ACP being adhered to and this allowed us to deal with other aspects of the trauma. During the process of developing the recent NICE guidance,1 a focus group of young people (aged 12–18 years) was consulted. Recurrent themes from their interviews included feeling frustrated by having to repeatedly tell their story and not being provided with individualised care that met their specific needs. Most felt open to the writing of ACPs and they generally wanted to be actively involved in the process. ACPs are ideally initiated at a time that best suits the family.1 In some cases, the discussion may even be initiated by a family member. It is more usual for a healthcare professional to have to gently float the idea of the need to make ‘more detailed, personalised care plans’ for the future care of the child. Natural triggers may include admissions to PICU, noted decline in an underlying condition and changes in goals of care (eg, cessation of chemotherapy). In some cases, the need for an ACP may be clear as early as the antenatal period, in the context of fetal diagnosis of a potentially life-limiting condition.7 There is evidence from our local data5 that the available triggers vary depending on the child’s underlying condition. Where there is a clear marker of a change in treatment goals such as is often the case for a child with cancer, the time for planning is fairly obvious. In contrast, a child with a neurodegenerative condition with a slow decline may not have such an obvious crossroads. In such situations, awareness of an increasing frequency of intercurrent illnesses and a failure to return to their previous ‘normal’ may be openings for conversations. The first conversation may simply be a ‘warning shot across the bows’, relaying the need for more detailed future care planning, followed by the careful offer of some information about the process of making an ACP. This may be backed up by a parent/patient information leaflet1 or by the offer of a blank care plan to read, or even to annotate, ahead of a future meeting. For example, opportunities can be created on a ward round, during an acute admission, by gently asking a parent whether they have ever thought about what would happen if their child were to become more unwell in the future, followed by a sincere offer to arrange a time to come back and talk about this at a later time. Even if the opportunity is declined at the first time of offering, it may serve as that initial warning shot, stimulating further reflection on behalf of the family. In situations where parents find it unbearable to open the conversation, it can be helpful to offer to fill in a draft form reflecting the views of the multidisciplinary team, on a best-interests basis. This can be shared with a family either during a consultation or for them to reflect on in private with the option of adding comments of their own. The process can thus involve several meetings and ideally should be done in as unhurried way as possible.1 There are of course situations where time is short, and decision-making between families and healthcare professionals need to happen more rapidly. In these cases, it is probably helpful to fill in only the parts of the ACP that are immediately relevant and to offer to revisit the remainder of the document at a later date. If the conversation stalls, it can be helpful to offer to talk through possible scenarios, in the context of the child’s underlying illness and current clinical condition. It is important to help children and families to understand the difference between potentially reversible deteriorations (such as infections) and the relentless progression of an underlying disease, which is less likely to be amenable to intervention. The benefits and burdens of treatments considered need to be carefully weighed. It is important to try to understand what motivates parents towards particular choices. In this context, it can be helpful to ask ‘what they still hope for’ and ‘what they most fear’.7 The answers can be helpful in directing a discussion and are often very different to that which may have been assumed. Lastly, it is important to stress that an ACP stating that the child is for full resuscitation can still be very useful. Firstly, it is likely to contain other useful information about individualised care plans for acutedeterioration and the family’s wishes in the wider care context. Secondly, if a modified resuscitation plan would eventually be more appropriate for the child, the very act of making the initial ACP will shape future thinking for the child and family. This may allow for a more individually tailored resuscitation plan to be agreed at the next revision. There is no single answer to this fundamental question. Ideally, the person completing the ACP should both have expertise in the process and know the child and family well. That person should have had the opportunity to consult other healthcare professionals involved in the care of the child and to gauge their views on issues such as quality of life and rate of disease progression.1 2 It can be very helpful (where possible) to bring together staff from community nursing teams, palliative care services and other involved teams. The family should be able to have as much influence as possible over the timing of any face-to-face meeting, so as to be able to ensure that as many of them as possible have the option to attend. Any appropriately experienced doctor or nurse can contribute to an ACP,1 although some hospitals stipulate that a particular grade of doctor is required to countersign a decision to limit treatment/resuscitation. Do the instructions work in all scenarios/settings? Once a draft ACP is agreed, it is helpful to test drive the content by considering all the settings in which the plan may be activated. This can typically include home, school, hospice, respite centre and hospital.1 8 If treatment plans within the ACP are impossible in any of the settings, there may need to be some clarification, or subtle changes. It is also useful to put yourself in the shoes of the least experienced healthcare professional, with no prior knowledge of the child and to gauge whether you would understand what is being asked of you in the event of an emergency. Does everyone understand the decision? Some care settings may have less access to healthcare professionals able to make a decision about whether or not to initiate resuscitation.8 Schools may have local procedures requiring that an ambulance is called whenever a child becomes acutely unwell. This does not preclude the use of a well-written ACP, as the attending paramedics should be able to support the school in following any tailored resuscitation plans on their arrival. It can be helpful for a member of the multidisciplinary team to visit the child’s school and discuss a new ACP with the school nurse or head teacher. ACPs need to be carefully distributed to professionals caring for the child in all care settings.1 8 Ideally, an ACP coordinator is appointed for a region and is able to distribute plans, ensure correct version control and prompt teams to review plans on an agreed frequency.1 Resource constraints can make this difficult in practice, but it remains essential that a plan is shared with all those who hold a copy every time that it is updated (usually at least once a year). Families often ensure that a copy travels everywhere with the child. This can be done by placing a copy with essential medication supplies or important equipment (wheelchair, suction pump). An ACP is a record of decisions made about treatment. The signatures on the document are an acknowledgement that the form has been seen and reviewed by those who have signed it. It is not a legal contract that sets in stone a particular treatment decision. Parents retain the right to change their mind as long as the new decision is not against the child’s best interest. Careful consideration is needed for children with an ACP in situ undergoing invasive procedures and/or general anaesthesia.9 Children with palliative care needs may, of course, still benefit from invasive procedures. Ideally, children and families need to meet ahead of time to discuss and renegotiate the parameters of an ACP for the time leading up to the procedure, the procedure itself and for an agreed period of time afterwards. It is obviously essential that a child who has an appropriate treatment limitation plan in other circumstances should receive appropriate resuscitation for iatrogenic changes relating to an acute procedure. If an invasive procedure is undertaken (even with palliative intent), part of the package of care includes the supportive medical care required by any other patient, which may be in conflict with resuscitation plans agreed under other circumstances. Without a clear plan for ACPs to be reconsidered in such circumstances, families may decline potentially beneficial procedures or avoid writing ACPs in the first place. Recognise that children and young people with life-limiting conditions and their parents or carers have a central role in decision-making and care planning. Discuss and regularly review with children and young people and their parents or carers how they want to be involved in making decisions about their care, because this varies between individuals, at different times and depending on what decisions are being made. Explain to children and young people and to their parents or carers that their contribution to decisions about their care is very important, but that they do not have to make decisions alone and the multidisciplinary team will be involved as well. 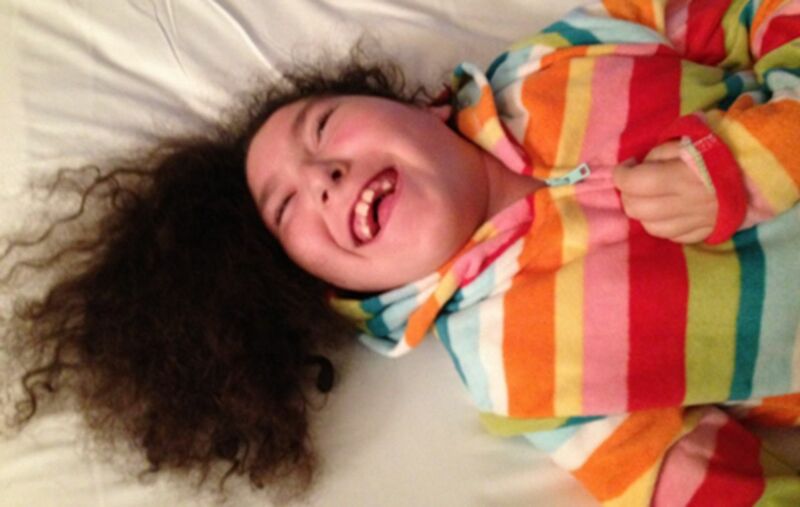 When developing plans for the care of the child or the young person with a life-limiting condition, use parallel planning to take account of possible unpredictability in the course of the condition. Develop and record an advance care plan at an appropriate time for the current and future care of each child or young person with a life-limiting condition. Begin discussing an advance care plan with parents during the pregnancy if there is an antenatal diagnosis of a life-limiting condition. For each individual, think about who should take part in the discussion. When developing the advance care plan, take account of the beliefs and values of the child or young person and their parents or carers. share the advance care plan with the child or young person and their parents or carers (as appropriate), and think about which professionals and services involved in the individual child or young person’s care should also see it. Update the advance care plan when needed and share the advance care plan with everyone involved each time it is updated. the expected benefits and possible harms of the management options. Be aware that all children and young people with life-limiting conditions should have an advance care plan in their medical record, and that this should not be confused with a do-not-attempt-resuscitation order. Be aware that any existing resuscitation plan for a child or young person may need to be changed in some circumstances, for example, if they are undergoing general anaesthesia. Attempt resuscitation for children and young people with life-limiting conditions, unless there is a ‘do not attempt resuscitation’ order in place. have differences of opinion about the care plan. When making or reviewing the advance care plan for a child or young person approaching the end of life, talk to the parents or carers about the care and support they can expect when the child or young person dies. Discuss their personal needs and feelings about this. When a child or young person is approaching the end of life, think about and discuss with them and their parents or carers their specific support needs. Review these needs regularly. Infants, children and young people with a life-limiting condition and their parents or carers are involved in developing an advance care plan. Advance care plans can help people with a life-limiting condition plan for and receive care at the end of their life that is in line with their wishes. Talking with the child or young person, and their parents or carers at appropriate stages allows them to influence the care that they receive and improves their experience of care. This includes involving parents and carers when a potentially life-limiting condition is diagnosed in a baby during pregnancy. Advance care plans should be appropriate to the circumstances and updated continuously throughout the delivery of care and support.
. Palliative care services for children and young people in England: an independent review for the secretary of state for health. 2007 https://www.nsf.no/Content/662668/PALLIATIVE_CARE_SERVICES_FOR_CHILDREN.pdf.
. Advance care planning for children and young people with palliative care needs. Poster presentation at 13th World Congress of the EAPC in Prague: Palliative Care—the right way forward. 2013.
. My choices project report. Bangor: University of Bangor, 2010.